With St.Patrick’s day approaching, the energy in Dallas is starting to shift from the drowsy city, caused by daylight savings time, to one that is ready to celebrate all weekend long! The Greenville Ave. St.Patrick’s Day parade has been going on for 32 years and has grown to have tens of thousands attendees. So Dallas, being the melting pot and business hub of the South West, you can bet this is a big event! And businesses are taking notice. The Greenville Avenue Area Business Association responsible for putting on the parade has tried to make the event not only a neighborhood parade, like it was in the beginning, but to make this a city-wide experience for all Dallasites! (And yes, that is what I am referring to Dallas residents as). The parade has been dawned a new logo designed with the city syline which isn’t even necessarily right along the parade route. But hey, when you get nearly 100,000 in attendance, it’s clear that this is no longer a block party, and we are competing with other major cities and their cool parades! The logo has been revamped, and there is a concert going on as well, with notable sponsors! Big deal here in the “Big D!” The concert is being put on by The Dallas Obsever, a local publication that tells you what’s going on in Dallas! You can learn all about the concert event here! Other than that I have only seen a Facebook page documenting needed parade info. Some of the sponsors include: Svedka Vodka, House of Blues, Budlight and more. Because if that many people are showing up to what used to be a neighborhood shindig, you want all of them seeing your name and using (or ahem, drinking) your product right? Jump on this pot of gold! I attended Mardi Gras in New Orleans this year, and saw very little advertisements or retailer logos on the floats or on the goodies being thrown off of them. 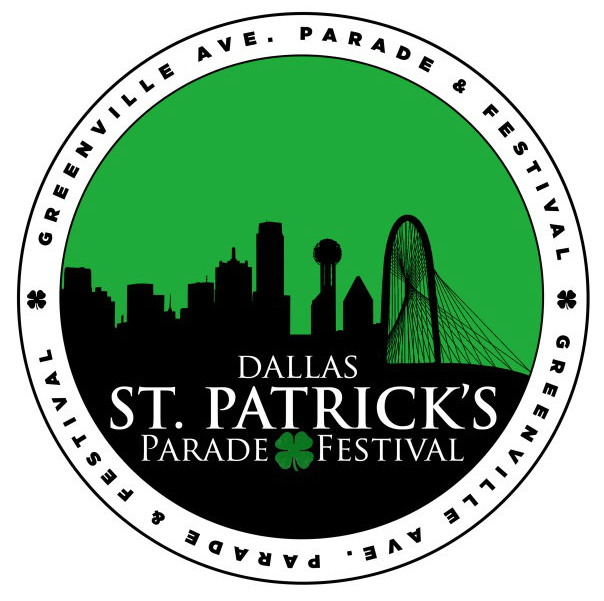 So this weekend, when I attend the St.Patrick’s parade in Dallas, I will be keeping my eyes peeled to see if Dallas follows the same suit for this different holiday, or if we are going to be taking advantage of the large crowd count in a different way.